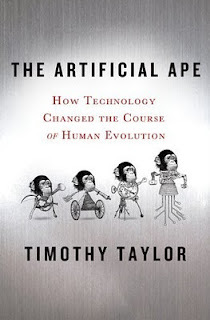 Gizmodo has posted an interview with Timothy Taylor, author of The Artificial Ape: How Technology Changed the Course of Human Evolution. Technology allows us to accumulate biological deficits: we lost our sharp fingernails because we had cutting tools, we lost our heavy jaw musculature thanks to stone tools. These changes reduced our basic aggression, increased manual dexterity and made males and females more similar. Biological deficits continue today. For example, modern human eyesight is on average worse than that of humans 10,000 years ago. Unlike other animals, we don't adapt to environments —we adapt environments to us. We just passed a point where more people on the planet live in cities than not. We are extended through our technology. We now know that Neanderthals were symbolic thinkers, probably made art, had exquisite tools and bigger brains. Does that mean they were smarter? Evidence shows that over the last 30,000 years there has been an overall decrease in brain size and the trend seems to be continuing. That's because we can outsource our intelligence. I don't need to remember as much as a Neanderthal because I have a computer. I don't need such a dangerous and expensive-to-maintain biology any more. 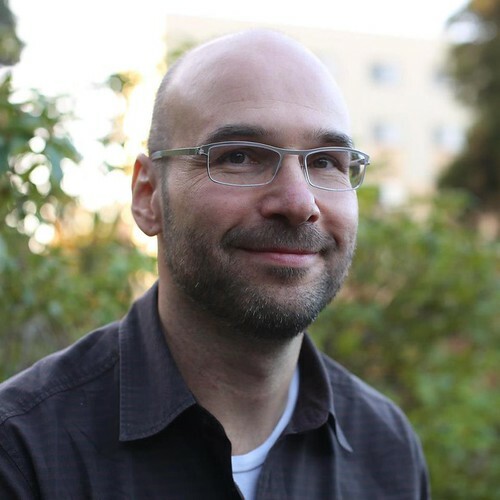 I would argue that humans are going to continue to get less biologically intelligent." That's what it is to be human. And in that sense, there's nothing scary in [Kurzweil's] vision of artificial intelligence. I don't see any sign of intentionality in machine intelligence now. I'm not saying it will never happen, but I think it's a lot further away than Kurzweil says. Will computers eventually be able to develop their own computers that are even smarter than them, creating a sudden acceleration that leaves the biological behind and leaves us as a kind of pond scum while the robots take over? That scenario implies a sharp division between humans and our technology, and I don't think such a division exists. Humans are artificial apes - we are biology plus technology. We are the first creatures to exist in that nexus, not purely Darwinian entities. Kurzweil says that the technological realm cannot be reduced to the biological, so there we agree. It's worth picking up the book for 15 mins in a bookstore to read the last short summary chapter. In general I think Taylor's POV falls into the Gradual Transhumanism category. Nuances include that idea that we can't turn back the clock on technology, and that technology is very natural. Great stuff.